The Duneland Chamber is having a Volunteer Rally on Thursday, May 10th from 4:00 p.m. – 6:30 p.m. at, located at 371 Indian Boundary Rd., Ste. 1. If you are a local business person, in need of volunteer or service hours for school, or just love your hometown, come volunteer. 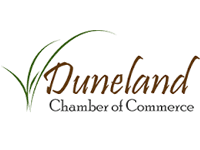 The Duneland Chamber is looking for volunteers for a wide array of projects and events. 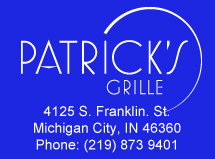 Every year they’re looking for additional hands to help with events such as: 8th Grade Reality Check, Chesterton’s European Market, Party in the Park, and the Hometown Holiday Celebration. They also have opportunities inside the office for the pre-and post-work that goes into organizing events and running a not-for-profit organization. Tens of thousands of people participate in Duneland Chamber of Commerce events throughout the year, and some of these events can take up to 100 volunteers to help organize. If you are a past volunteer and are currently involved please still come and sign up proactively to the specific events you are interested in donating your time. If you are unable for the rally but are interested in volunteering please contact Michelle at the Duneland Chamber office.